I’m very pleased to announce that the 2019 Spring Thing Festival of Interactive Fiction, an annual event for the last eighteen years, is now live! This year, there are twenty entries spread across two categories. Authors chose whether to submit games to the Main Festival, where they are eligible for ribbon nominations and a prize pool, or the Back Garden, which opts out of ribbons and prizes but has looser entry requirements (including allowing excerpts from unfinished or commercial games). 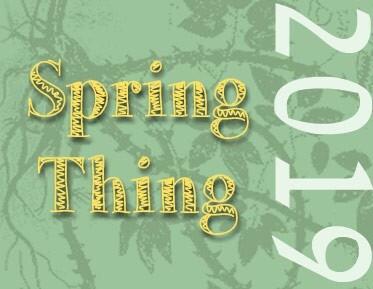 On a personal note, the Spring Thing was one of the places I first got my feet wet as an IF author, so it’s been an honor and privilege each year to help keep it alive. The festival largely flies under the radar, but has been a launching point over the last two decades for a number of influential games and gamemakers. It’s well worth checking out. Congratulations to all this year’s authors, and a big thank you to all the prize donors. Enjoy the festival!